The much heralded summit between U.S. President Donald Trump and North Korean leader Kim Jong-un was held in Singapore before a large media audience. What this meeting will entail, and if there will be more meetings like it, remains to be seen. Despite all of the United States and North Korean flags flying at this summit, there was one power there that has definitely had as much an impact on the meeting taking place at all—-China. Yes, without China this summit would not have really happened, and without China it is doubtful that North Korea would have gone to the summit at all. 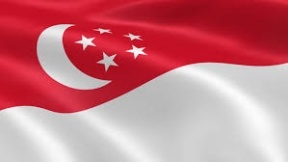 First, let us take the Republic of Singapore as the venue where the summit was held. China is the largest single investor in Singapore, followed by the United States. Business conducted by both countries in Asia more often than not goes through Singapore. Because of this, there is no question that the Chinese government most probably told Kim Jong-un to pick Singapore as a place to hold a meeting other than on the Korean peninsula. Another curious thing was that Kim Jong-un got to Singapore on a Chinese commercial aircraft. Why didn’t the North Korea leader take one of his own North Korean airplanes to Singapore? He did this when he went to Beijing once. Besides, Singapore is not that far away from North Korea’s capital Pyongyang. If Kim flew to Singapore, it would have taken only five hours and 48 minutes to get there. So, why did he take a Chinese commercial jet to Singapore? We may never learn the answer to that one, but there is some speculation why. Kim Jong-un may not have entirely trusted some of his government personnel. The flight crew that flew the jet were Chinese—Kim Jong-un brought his own personal bodyguard personnel. What this suggests is that both Kim Jong-un and Chinese President Xi Jinping had to have worked out the details for this trip a few months before when Kim visited Beijing. This shows extreme coordination about an impending meeting that might benefit China. And benefit it would. China has only to gain from such a sideshow in Singapore because while the United States is busy trying to deal with North Korea, China can make its own moves in other parts of the world. One of these is the Korean peninsula itself. The summit was timed perfectly with local elections in South Korea. It is doubtful that both North Korea and China just randomly picked June 12 for the summit—this is just one day before the South Korean local elections which was held on June 13th. This was known months in advance, and clearly the South Korean political left would greatly benefit from any summit they saw as a “win” for North Korea. If the South Korean political left is able to propose a Korean confederation between the two Koreas, then U.S. armed forces will no longer be needed and hence may force President Trump’s hand to withdraw American soldiers from South Korea. This will also greatly benefit China because it removes the United States from a strategic area in northeast Asia. Any way you look at it, the invisible hand of China is all too present.